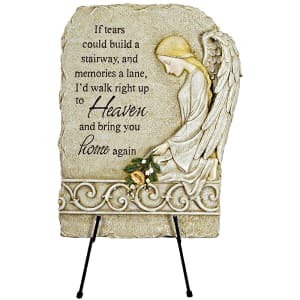 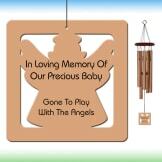 This serene garden marker is a thoughtful and permanent way to remember a loved one. 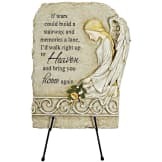 Made to look as if it was carved from stone, and featuring a peaceful angel holding a bouquet of flowers, this marker can be displayed in a private garden, or next to a cemetery marker. 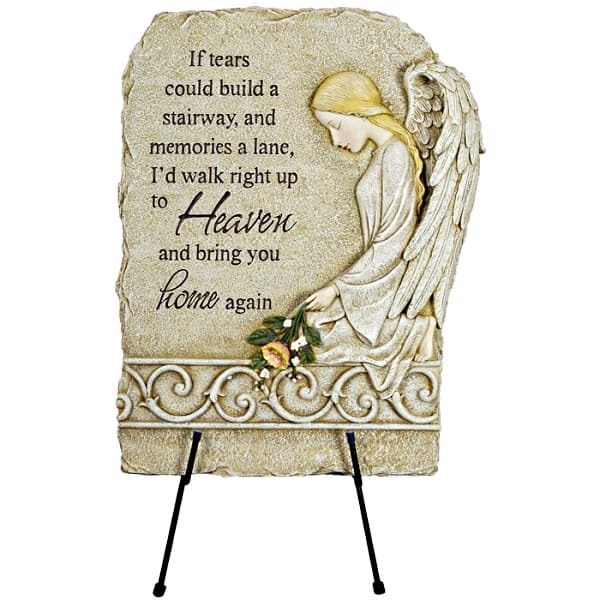 • Made of cast resin to look like stone.